Wamba: Embodied the term "African American"
PHILIPPE WAMBA was a committed Pan-Africanist and the embodiment of the term "African American". He was political, intelligent, idealistic and ambitious. He was an American in Africa, and was often taken as an African in America. "Home is less about geography than about family and relationship. I often slip between contexts," Wamba said. "I'll dream in Swahili one night and English the next." When Wamba was appointed editor-in-chief of the premier Pan African website Africana.com, he decided to parlay some of the ideas in his 1999 memoir Kinship: a family's journey in Africa and America into the idea of a digital bridge for black people worldwide. Africana.com - founded by the Harvard academic Henry Louis Gates Jr., - offered Wamba the medium to showcase his passion for Pan-Africanism. 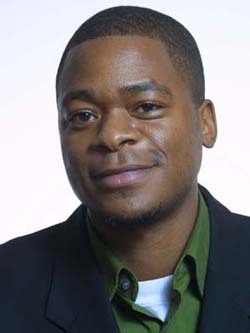 Philippe Wamba was born in California in 1971 to Ernest Wamba dia Wamba, a Congolese academic who later became a Harvard professor, and an African- American mother, the former Elaine Brown of Detroit, Michigan. His parents met at a French-language club in Kalamazoo. He spent the first eight years of his life in America before his family moved to Dar es Salaam, Tanzania. Wamba said he remembered struggling with "ambivalence toward the birthplace of my father". Eight years later, having learned to speak Kiswahili, play Tanzanian marble games and understand African social customs, he followed his father's course, leaving Dar es Salaam for New Mexico and later Harvard University. He was dismayed by the racism he witnessed in America and was more shocked to found that Harvard's African-American students "were not necessarily any more interested in or informed about Africa than their fellow white students". But Wamba also enjoyed life at Harvard. He was renowned for singing Michael Jackson songs and fondly recalled the sense of belonging and togetherness among African, African American, and Caribbean students during his college days. In 1993, he graduated in History and Literature, and won a scholarship to study for a master degree in journalism at Columbia School of Journalism. While the elder Wamba returned to Africa to lead the rebellion against the government of Laurent Kabila, the late dictator of the Congo, the younger Wamba immersed himself in his journalism career. He worked as a researcher and writer on the Encarta Africana, the encyclopaedia for Africa and the Diaspora. He was a writer for the Dictionary of Global Culture and was editor for Frommer's Travel and Macmillan General Reference. He also freelanced for Transition and Common Quest magazine, the Weekly Journal in London and the Daily News in Dar es Salaam. In 1999, he took over the editorship of Africana.com and attracted notable contributors from the African American and African literary world. Perhaps the most enduring legacy of his 31-year life, however, was his award-winning book, Kinship, in which Wamba uses both personal experience and wide-ranging scholarship to bear on the questions of identity, community, and the history that separate and bind people of African descent on both sides of the Atlantic. He describes how Michael Jackson sneaked Swahili words into his songs while African kids incorporate hip-hop slang into their vocabulary. In 2000, the book won the Myers Outstanding Award from the Myers Centre for the Study of Human Rights and Bigotry, and was a finalist for the Pen/Martha Albrand Award for the Art of the Memoir. Philippe Wamba, writer: born Pomona, California 3 June 1971; died near Mombasa, Kenya 11 September 2002.